Review: A helpful little book that contains facts about language learning book. . l highly recommended it to anyone and even if you are not in to this type of book it's good to read outside your favourite genre and try something new and improved your reading to different types of books and genre and authors. I rated this book 5 star on amazon and goodreads. Really like reading this book and l would love to learn a different language and l was sent this book for review and l found it hard to put down once l started reading it and it was easy to get in to. About the author: Ms. McNeil is the creator of the BALL method for language learning. 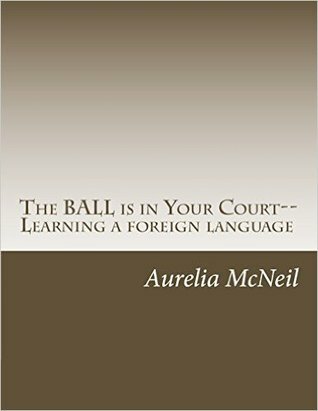 The BALL method encourages pre-learning and pre-teaching of vocabulary combined with listening as an initial and primary channel of learning and teaching. Ms. McNeil is a university instructor who teaches bilingual, ESL, and global language methodology courses. She continues her studies in curriculum and instruction, conducts research, and develops language learning materials.